Cody Walker to stand in for Paul Walker to finish Fast & Furious 7? 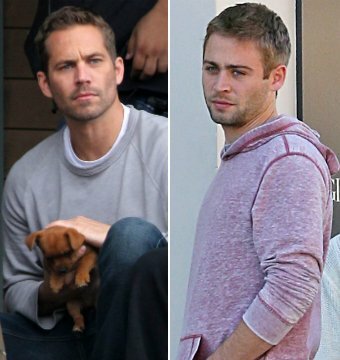 Cody Walker, Paul Walker’s lookalike younger brother, could be under consideration to stand in for actor to finish Fast & Furious 7 movie. Cody Walker, 25, may be under consideration for filming the deceased brother’s parts to finish up the final scenes for Fast & The Furious 7. He works as a movie stuntman, and could take his brother’s place on the film after Paul Walker, 40, died November 30 in Santa Clarita, California, in a fatal car crash. Paul Walker was on a break from filming the latest in movie franchise when he died, prompting Universal Pictures to immediately shut down production. Universal Pictures had not commented on the possibility of using Cody Walker to stand in for his brother on the production. “At this time we feel it is our responsibility to shut down production on <<Fast & Furious 7>> for a period of time so we can assess all options available to move forward with the franchise. We are committed to keeping Fast & Furious fans informed, and we will provide further information to them when we have it. Until then, we know they join us in mourning the passing of our dear friend Paul Walker,” Universal said.